5 days? only 5 dollars!!! The end is near! Only 5 DAYS LEFT! Can you believe that the time went so fast? Our Kickstarter is ending in 5 days! And HERE is the BEST way you can help us WIN! My account has just passed 1400 followers. If each of my followers only gave $5 - we would HIT our Kickstarter goal! and KEEP all the money we raised! (If we don't reach our goal - we lose it all! All the funding is returned to the people who donated) ☹️ . What can $5 get you in America? $5 - Nope, can't even get a movie ticket for that! Would you give up ONE treat and donate that $5 to our Kickstarter? 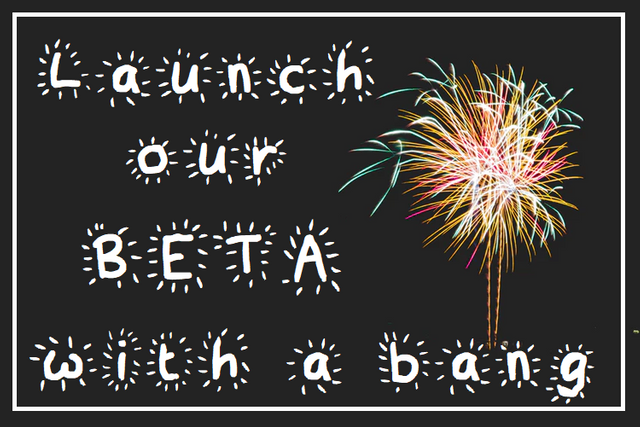 If you all do - we hit our goal, and start off this Beta test with a BANG! Spunkee Monkee: The Best App Ever! You're working so hard on this, and it's such a worthy cause! I hope you reach your target, honey. This is a fantastic thing to be doing for families! Thank you for your hugs today! The end is near? good lord not another end of the world post. Lucky I read on. It's a new beginning post. You know why kick starters are hard? Cause no one wants to start it and get kicked by the rest. Kick Starter, Kick the starter. Get it? My humour is wasted here. Oh wait this is a text comment you have to wait for the lol. Duh at me. Then back at it again! Woo hoo! We can do it!!! Good luck Dreemie!! I hope the stars align and you reach your goal... I resteemed and also sent the link to a few people in my contact list. I threatened their life so they would donate a little something so let's hope that they're scared of me. You got an SBI in this! That's awesome @monchhichi23. Good stuff. How could I NOT give that? Hey @dreemsteem! I wish you and the @spunkeemonkee project great success and open arms. I know that many families will be blessed by you and the work you do. I sent a pledge your way! Keep looking forward and upward! Ah damn it, I had donated to the fundition campaign instead! I didn't realise there was a kickstarter... My fail! Resteemed and best of luck with the home stretch! So no worries! It has been counted and it has helped!!!! 3 cents plus 3 cents plus 3 cents..... You see how it adds up right? Can go to RedBox and rent 3 movies!!! I am so glad I was able to help through fundition. Resteemed and now hoping for the best!! I hope we can reach the goal, its gonna be so much fun!!! 5 for 5 five ALIVE! resteemed! Hey dreemie! I certainly don't have the following that you have but I hope by sharing your post the word will quickly spread across our wonderful Steemit Community. Such an amazing project worth supporting and donating to. How could it not?! It's a little incubator of support while our little monkees grow and create their own dreems of inspiration. Yes, hubs is burning the midnight oil every night - believes in this project whole-heartedly. Going to be great! Because its for all the right reasons. He's working so hard!!!! At some point in the future, we get to take a vacation... Right? My vacation day will be spent sleeping. I went for the FUNdition route cos I prefer fun to kicks. Still, if i can't get into the cinema with my $5 I might as well treat a monkee. That sounds like fun! all my good energy ... if it is not given we will not surrender :D we will continue standing. I have new ideas for us soon; hehehe I'll tell you in DM... I think you will love it!!! I hope you reach your goal!!! You guys have such a great idea going! I will share this at the Global Homestead Collective! @dreemsteem, I wish you and the @spunkeemonkee project a great success! Resteemed! Thank you SO much!!! And I do have steemify!!! 😊 I so appreciate the support. I have such great hope and excitement for this year, and encouragement from Steemians like you make our success that much more tangible! THANK YOU!!! Where is daddy Warbucks when you need him!? I really hope you meet the goal. GL!!! Thank you for sharing this @pennsif!!! Only 2 days left! Will a miracle happen??? I am still hoping! 100% upvoted and resteemed. Hope we reach the goal. Oh dear. I wanna make pledge at kickstarter and i don't have any of those cards. And I don't have PayPal. Can I transfer Steem to you? Sure! :) I will be taking all the donations out and applying them to the fundraiser!!! this is the best thing i've heard so I figured you should have it too... totally NOT SAFE to listen with kiddos around!! but worth a good giggle at the very least!! Hahahhahahahahahhahahaha I will listen tonight LOLOL. Thanks for the giggles! i like this post, is very interesting.. Thank you for the support @nathanmars!!!! And for supporting my supporters in the comment section too!! !